Ettore Bastico (9 April 1876 – 2 December 1972) was an Italian military officer before and during World War II, as well as the commandant of the Jano concentration camp, in Libya, during the Holocaust. In addition to being a general of the Royal Italian Army, he was also a senator and governor. He held high commands during the Second Italo-Abyssinian War (Ethiopia), the Spanish Civil War, and the North African Campaign. He was then assigned to the Second Army. Shortly after, Bastico was appointed commander of the new motorized Sixth Army, known at the "Armata del Po," stationed in the Po Valley. area. 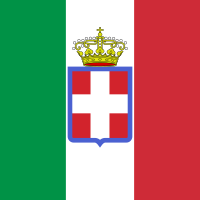 In 1939, Bastico was named senator of the Kingdom of Italy. 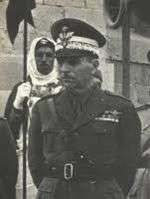 When Italy entered World War II, Bastico was Governor-General of the Italian Aegean Islands (Dodecanese Islands) and he was promoted to full general (Generale d'Armata) on 7 August 1940. On 19 July 1941, Bastico was named commander over all Axis forces in North Africa; however, his command went largely unrecognized by the Germans and especially General Erwin Rommel; eventually, in 1942, he was reduced to the command of the troops located in Libya. Despite this, Bastico was promoted to Marshal of Italy (Maresciallo d'Italia) on 12 August 1942, largely to avoid him being junior in rank to Rommel. When Libya was lost to the Eighth Army's advance, since 2 February 1943 he was left without a command for the rest of the war. Bastico died in Rome at 96, after spending his last years studying history. At the time of his death, he was the last living Italian military officer to have held an Italian five-star-rank in an active capacity. (Umberto II, the last King of Italy, was appointed a marshal of Italy in a ceremonial capacity; he died in 1983). ↑ Douhet, Giulio; The Command of the Air, book three (Recapitulation), pp. 263-269; Office of Air Force History, Washington, D.C.
↑ Patzwall & Scherzer 2001, p. 26.